Back Surgery: When is it the right option for you? Have you or a loved one been told that back surgery is the only option left? Have you already had spinal surgery just to find limited pain relief — or even more back pain than ever? For over a decade I’ve helped thousands of people faced with the prospect of back surgery. And more often than not I’ve been able to help them find relief from back pain by correcting the root cause of their back pain without life-altering surgery or drugs. Now I’m not going to sit here and tell you to cancel your surgery or even tell you the surgery you already had was a mistake. That’s a personal decision only you can make. Once you have surgery, everything changes. You’ll never be the same, even if the surgery is a success. So what I will do is give you options. In this article I’ll share facts about spinal surgery and important questions to ask your doctor so you can make a fully informed decision. If you decide to have the surgery they will help ensure the best possible long-term outcome. Outside of trauma, back pain doesn’t happen overnight. Back pain is more commonly the symptom of a long-term condition known as “postural dysfunction.” This simply means there is an abnormal curvature of the spine or abnormal positioning of the pelvis. Everyone has varying degrees of postural imbalances as different muscles grow weaker or stronger, and more flexible or tight in relation to each other. Postural dysfunctions occur over time when these imbalances are not identified and corrected. Postural dysfunctions cause increased wear and tear on the joints, muscles, ligaments, and discs in your back. Over time your back weakens until it can no longer properly support itself and nerves in your spinal column are suddenly and painfully pressured or pinched. While there are a dozen or so different types of surgical procedures for back pain, all of them attempt to do one of two things: remove the pressure on the nerve or stabilize the spine. Consider the case of a herniated disc. You have pain because the disc is pressing on a nerve. Your doctor may tell you the only thing he can do is remove the part of the disc that’s pressing on the nerve. At first thought, this might sound like good news. 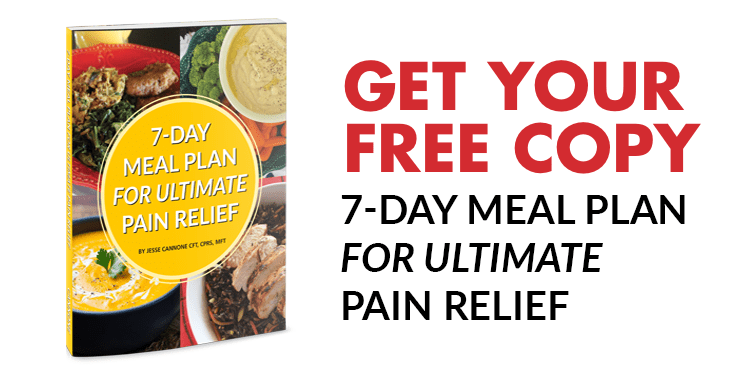 Take the pressure off the nerve and it’s goodbye pain! Unfortunately it’s not quite that simple. Think of it like the wheels on a car. When your car gets out of alignment, your tires wear unevenly. The areas on the tire receiving extra pressure due to the imbalance wear away much faster than normal. Left unchecked, a sudden catastrophic blowout may be in your future. If you replace the tires, but leave the alignment uncorrected, it won’t be long until you have the same problem with the new tires. Until you fix the cause of the problem, the symptoms will keep recurring. The same thing applies to your spine. No matter how many surgeries you have, until you correct the underlying cause of the imbalances weakening your back, you will continue experiencing spinal degeneration — and as time goes on, more pain. This is why I consider back surgery an extreme approach to dealing with non-trauma related back pain. Besides the fact that spinal surgery alone will not correct muscle imbalances, there are other issues to contend with during recovery that can be counterproductive to your pain reduction goals. Post-surgical recovery is an area too frequently glossed over during the decision making process leading to an operation. You will want to consider the risks and difficulties of recovery as part of an informed decision. Following back surgery, your body will go through a normal recovery process including significant pain and awkward movement for even simple daily tasks. Because your body is contorting itself to avoid pain during this recovery phase, additional stress is placed on other areas of your body — particular above and below the site of surgery and in other joints such as the hips or sacroiliac (SI). All surgeries produce scar tissue. As your body heals there is a real possibility that the scar tissue itself can build up to the point that it makes contact with the nerve, causing as much pain as if the disc itself were still putting pressure on the nerve. Your most important consideration before agreeing to surgery should be rehab. The rehab you’re likely to receive after the operation will only address postoperative pain. Therapists will use soothing modalities and work with you to improve your functional skills, particularly activities of daily living such as bathing, dressing and going to the bathroom. Don’t assume your rehab will cover all necessary long-term recovery activities automatically. The simple principle of getting our bodies back into balance, or proper alignment, so they can function normally again is rarely acted upon by the traditional medical community. In fact, your doctor may not even be familiar with postural dysfunctions as they are not taught in many traditional medical schools. Most insurance companies only pay for getting rid of symptoms ASAP. Their focus is only on moving you through the health care system at minimal cost to them. As a result, if you decide to have back surgery, it is critical that you protect yourself from inadequate rehabilitation support by demanding that your healthcare provider and insurance company will address both short-term and long-term goals before agreeing to the procedure. First, be sure a physical therapist can identify any postural dysfunctions including abnormal curvature of the spine or abnormal positioning of the pelvis. Specifically, insist they explain exactly how your muscles are out of balance, which muscles are strong or weak, and how they are flexible or tight in relation to each other. Have them write everything down as part of your long-term care plan and ask for a copy. Which postural dysfunction did you identify? How would you describe the curvature of my spine from top to bottom? How would you describe the position of my pelvis (level or tipping)? Can you please note for me, specifically, my muscle imbalances? Please write down for me which muscles I need to stretch and which ones I need to strengthen; also, please explain what each muscle group does so I know I’m doing the correct set of exercises. Fortunately most back pain sufferers can get relief without resorting to surgery. By identifying and addressing the underlying muscle imbalances and postural dysfunctions behind their back pain, many back pain sufferers can get better results without surgery and avoid the inherent risks. In fact, if you’re still considering surgery, I’d recommend finding a qualified therapist first and ask the same five questions above. Using this information, give yourself 60 days to work on stretching and strengthening before making a final decision on surgery. You stand a strong chance of eliminating your back pain altogether — with no surgery and much lower medical bills! One final word on surgical outcomes. Back pain surgery is the only category of surgery that actually has a clinical term for failure — Failed Back Surgery Syndrome. Unless the underlying causes of your back pain such as muscle imbalances are addressed, chances are high that you won’t experience long-term pain relief (I define long-term as more than five years). To learn specific ways you can get lasting relief from back pain without surgery, read the latest edition of our Back Pain Relief Guide. Just fill out the short form below and you’ll get free instant access to the complete guide.